Ferdinand Georg Waldmuller (it. Ferdinand Georg Waldmüller, 15 January 1793 in Vienna — 23 August 1865, Hinterbrühl near Mödling) is one of the most famous Austrian artists of the first half of the nineteenth century Known as his landscapes, and works in portrait and genre painting. Best known as the painter of the Biedermeier era, who painted idyllic scenes in Vienna Domachowska period. The artistic heritage of Waldmuller covers about 1200 paintings. George Ferdinand, Waldmuller was born in 1793 in Vienna. From 1807 to 1813, he periodically attended classes at the Vienna Academy of fine arts, earning a living from portraits, miniatures. In 1811 he obtained the position of teacher of drawing in the house of count Gyula in Zagreb. In 1814 he married the singer of the court Opera Teresa Widener. Chet Waldmuller traveled to different cities, where he played Stewart: Baden near Vienna, Bruenn, Prague, etc., Waldmuller in this period dealt mainly with the design of theatrical scenery. In 1814 Katherine received an invitation in the Vienna Theatre at Carinskih gate (it. Kärntnertortheater). In 1818, Waldmuller took lessons in oil painting with Joseph Lange and landscape — Y. N. Radlberger. Portraits were a major genre in the works of the artist. 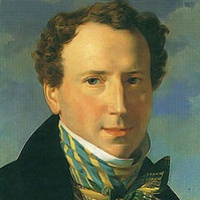 In 1822, the portraits of Waldmuller exhibited at the exhibition of the Vienna Academy of arts. In 1824, the artist exhibited his first genre paintings. The work of Waldmuller draw attention to themselves and have success. C 1825 to 1844, Waldmuller made several study trips to Italy. In 1829-57 Altemueller he lived in Vienna. In 1830 he went to Paris. In subsequent years, the artist has created several landscapes of bad Ischl, where he rested in the summer, and the Viennese Prater. In 1829 the artist was given the post of Keeper of art galleries at the Academy and the title of Professor, in 1835, the title of Advisor to the Academy, in 1836 along with another artist, Josef von Furia, Waldmuller made a catalogue of the picture gallery. However, the relationship with the Academy of arts of Waldmuller got corrupted because the academic copying old masters he preferred to write from life. The reform proposals of Waldmuller cost him his first art Studio in Academy, and then post. Restasis with the first wife in 1834, in 1851, Waldmuller married a milliner Anna Bayer.Finding themselves in a difficult financial situation, in 1854, he exhibited his works at the salon Maud his wife. However, after two years at the exhibition at Buckingham Palace in London to the artist again comes success. As it proved fruitful and the subsequent exhibition in Cologne in 1861 and the international exhibition in London (1862), and eventually in 1864 the anger was replaced by Emperor Franz Joseph I.
Waldmuller worked in different genres: portrait, landscape, still life, genre painting. His genre scenes ("Parent instruction", 1850; "the Rebirth into a new life," 1852; "the Children in the window," 1853) sometimes contain so many figures and always carefully worked out in detail; the most successful are the figures of the elderly and particularly children, despite the fact that goodness and gaiety portrayed them pretty boys and girls produce somewhat exaggerated impression. In the portraits of his contemporaries, the artist manages with great skill to convey the individual characteristics of the model ("Portrait of Thierry", 1833). A talented colorist, Waldmuller manifested itself in the still life ("Bouquet in an antique krater", CA. 1840) and landscape ("the Old elms in Prater", 1831). Already from the 30-ies of the artist carries the task of transforming the landscape of human figures and figural groups ("Halt", 1853; "Early spring in the Vienna woods", 1864). In these compositions are organically embodied the optimistic attitude of the artist. The most famous disciples of Ferdinand Waldmuller are Hans Canon and Anton Romako. In honor of Ferdinand Georg Waldmuller in 1913 in a Park at the Vienna town hall was erected a monument to the work of Josef Engelhart. At the private Catholic cemetery Matzleinsdorf where is buried Ferdinand, Waldmuller, in 1923 the Park was named after him. The name of the artist is one of the side streets of Vienna. The 100th anniversary of the death of Waldmuller was released a special postage stamp.